Black Powdercoated Shown on bike. This is the new RSD Tracker Tag Bracket! 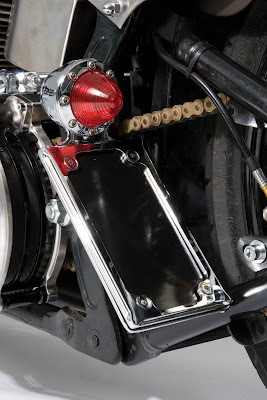 Vertically mounts your License Plate and bolts directly to your OEM passenger foot peg hole. 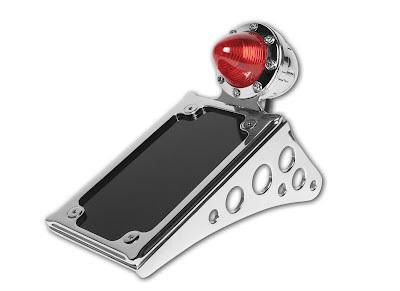 The Tracker Tag Bracket is available in Chrome or Black Powdercoat. 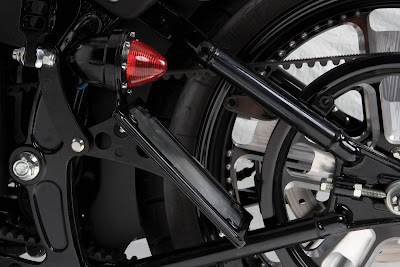 The Dual circuit LED light works as both tail and brake light. Bolt it on, wire it up, then let it rip. 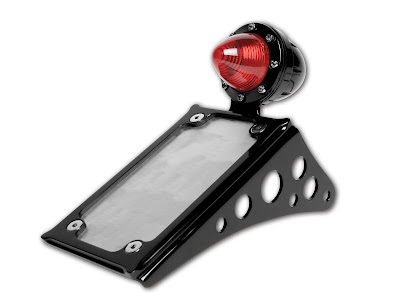 In stock and currently available from all Drag Specialties authorized dealers. MEDIA: If you are interested or need high resolution images, pricing information or part number information please email us at info@rolandsands.com.